Throughout media you see advertisements everywhere: games, food, travel, shows, and alcohol. I’ve noticed alcohol commercials are prevalent throughout media. There’s so many of them. Recently, in alcohol ads, I’ve been seeing the company Michalob Ultra target athletes. The commercials of Michalob Ultra are probably the most commercials shown out of beer ads on the stations I watch, and being from a family with alcoholics it bugs me. Through their commercials they show people working out, from lifting weights to running. They’ve even connected in commercials where a swimmer will be swimming and below them alcohol. A girl will be punching a punching bag and a shot of alcohol will come out. Just the fact there are so many alcohol ads bugs me, one after another, but then to see them targeting athletes, and be overly advertised in sporting events; I don’t think it’s right. Alcohol companies should not be allowed to advertise to athletes, and alcohol should not sponsor sports. I’m going to go into how alcohol affects an athletes body to show that alcohol companies, no matter how low calorie, should not go after athletes. I will also show sides to it like the money it brings in, how addictive alcohol is, and what some people are doing about it. Alcohol also interrupts your sleep, but there’s something important that happens during sleep! 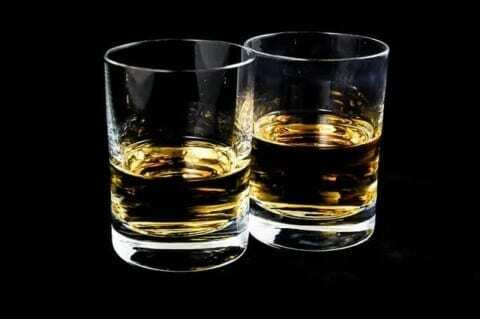 Alcohol messes with your sleep cycle, which in turn messes with Human Growth Hormone. This hormone helps with building and repairing muscle. Alcohol can decrease this by 70%! Something else I found interesting is our bodies can’t use the calories in alcohol. It can’t turn it into glycogen, but is treated like fat. It converts “the sugar from alcohol into fatty acids. As a result, alcohol consumption increases fat storage and can adversely affect your percentage of body fat.” (Insidetracker) Alcohol is loaded with calories. Drink aware states. “Because alcohol is made from sugar or starch, it contains lots of calories – seven calories a gram in fact, almost as many as pure fat!” There’s also a lot on the alcohol break after working out. It’s very common for someone to have a drink after a workout, but what does that do to you? The problem with alcohol and sports by Whitlee is licensed under a Creative Commons Attribution-ShareAlike 4.0 International License.